Inhale essential oil blend diluted for topical usage with fractionated coconut oil. Simply apply and inhale! The Ology Essentials Rollerball products are properly diluted versions of our essential oil blends ready for immediate usage. Inhale is diluted at 2%. Ingredient List: Fractionated Coconut Oil and Essential Oils of Sweet Orange (Citrus sinensis), Eucalyptus (Eucaluptus globulus), Lemon (Citrus limon), Peppermint (Mentha piperita), Laurel Leaf (Laurus nobilis), Cajeput (Melaleuca cajuputi), Rosemary (Rosmarinus officinalis), Sweet Basil (Ocimum basilicum), Ginger (Zingiber officinale), Ravensara aromatica, Oregano (Origanum vulgare). Ology Essentials only sources from the country of origin, so that you can rest assured that your essential oils are pure and undiluted. We pride ourselves as a research brand dedicated to the science of safety of aromatherapy. We will provide the science, you will reap the benefits. Our products and our third party test results speak for themselves. Ology’s goal is to be completely transparent in this growing industry. The reason we started Ology was because we care about our local and global community. We are here for you! Owner and aromatherapist, Kayla Fioravanti, has been a leading expert in the natural industry for over 20 years. Kayla has a deep and abiding passion for aromatherapy and natural personal care products. In 1998, Kayla and her husband Dennis co-founded Essential Wholesale, which was listed as an INC. Magazine 5000 Fastest Growing Companies in America for three years in a row. In a saturated market with so much misinformation at your fingertips, it was important for Ology to source directly from the country of origin. This is because we don’t want you to worry about where your essential oils are coming from or if they were tampered with. You can rest assured that Ology’s essential oils are pure. 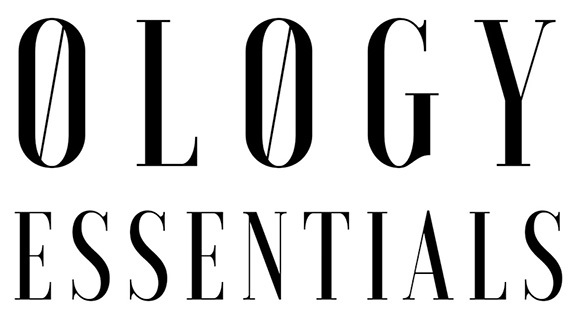 Ology Essentials believes it is of the utmost importance to know exactly what you’re using and how to use it properly. With the plethora of misinformation out in the world, education is paramount.Do not use essential oils undiluted. Do not consume essential oils. Ology Essentials Institute offers a self-paced 100+ hour Aromatherapy Certification Program which covers accurate world history of aromatics, anatomy & physiology, chemistry, pathologies, olfaction & human psychology, botany, essential oil profiles, aromatherapy safety, carrier oils & butters, essential oil blending theory, applied aromatherapy, consultation skills, business advice, industry regulations, product recipes, and more.